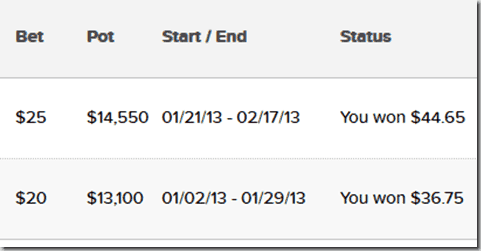 The start of 2013 has been life-changing for me. I had no idea on January 1st that I would be here 3 months later singing the praises of things like the Whole30, Paleo eating, unbelievable gains in CrossFit, effortless running, and DietBet. The words “diet” and “bet” gave me a pause at first. It is NOT a diet program. And as far as the “bet”, you’re betting against yourself. I paid money and it was mine to keep as long as I worked my tail off to lose 4% of my weight. It’s no secret that my number on the scale has been way too high for about 2 years. What was more disturbing was the amount of inflammation I was carrying in my face, fingers, stomach and legs. I don’t get too concerned over scale numbers. I would rather be a strong, fit 150 than a “skinny fat” 140. But I knew in January, that something had to change. And after 2 DietBet challenges, I’m finally feeling healthy again. Check out the results of my first two DietBets. My winnings: On the left side, you see the amount I paid to join the game. Want to join me on the next DietBet with Fitfluential? It starts next Tuesday! There is plenty of time to start the process. 1. Sign up. Using your Facebook or Twitter account or make your own login using email/password. 2. Pay. Paypal is accepted! 4. Spend the next 4 weeks interacting with the community! This is not mandatory, but it is extremely motivational! 5. 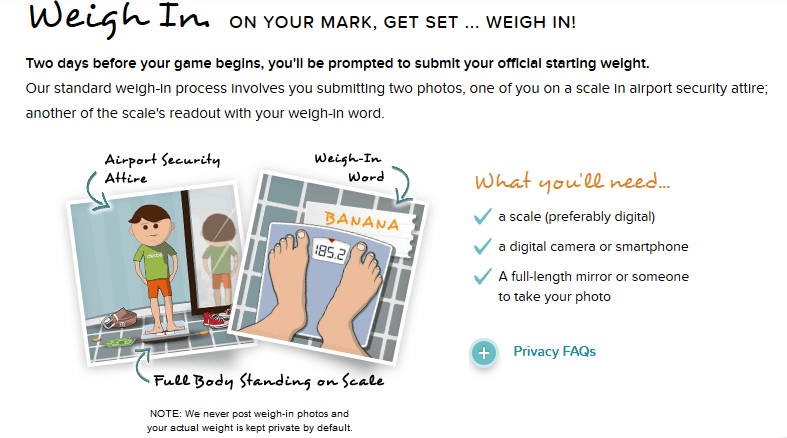 Submit your final weight pictures on the last day of the DietBet. You will have 48 hours from the last day to do this. 5. WIN! All those who meet their 4% goal will split the pot equally. As you can see from my previous games, I won more than I paid into it. 1. Your pictures are PRIVATE. Your default settings are set to “keep pictures private”. Nobody has to know your numbers. 2. Do not cheat. Just don’t. 3. You can input a weight at anytime during the dietbet and the leaderboard will update. You do not have to input weight pictures, you just key in a number. Do NOT get discouraged if you see people who reach 100% after 3-4 days. There are many reasons for this. Smaller people will not have to lose as many pounds and 3 days of no salt, sugar, carbs, will deplete 4% body weight. Also, some people have 2-3% change from weighing in at night versus morning weigh ins with no clothes and empty bladder. Just don’t let the leaderboard mess with your head. Still not sure? This video from the DietBet site explains it all. Now that I have lost some weight, the next 4% will be harder to lose. I have cleaned up my diet and my workouts are slowly increasing to a consistency to keep up with half-marathon training and CrossFit goals. I will have to work harder than ever on this next game. What are my plans? 1. Watch my salt intake. I love spices, but I don’t love the salt bloat. I need to restock my Penzey’s cabinet and start cutting down on the salt shaker. 2. Tracking: It’s time to use my heart rate monitor (Garmin) to keep up with my calorie burn. I also plan to track my meals. I’m not going to count calories because I just don’t want to go down that road. 3. HYDRATE! Currently, I am not drinking enough water to keep up with my increasing activity level. I need to make this a top priority. 4. Return to (mostly) Whole 30. After my first month was finished, I slowly added in dairy, legumes, a couple of non-gluten grains, and occasional wine and dark chocolate. My weight loss dwindled and I still have more to lose. I’m decreasing the dairy, grains, and legumes because they cause inflammation. However, dark chocolate is not going anywhere! 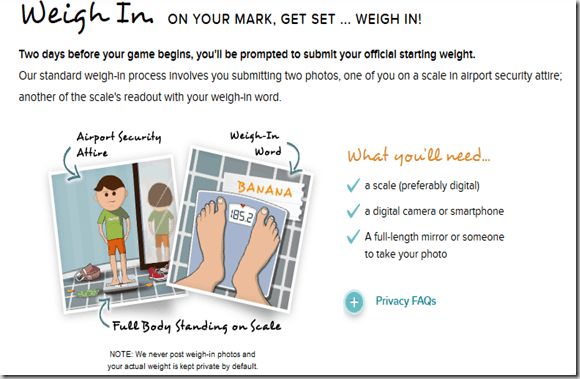 Ready to join the Fitfluential March DietBet? Click the link here.